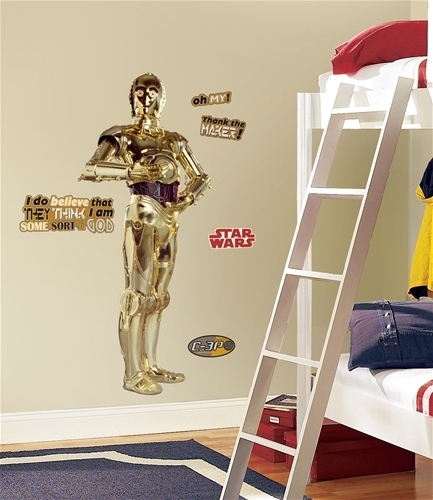 Be Sure to Check Out Our Other Star Wars Movie Giant Decals!! 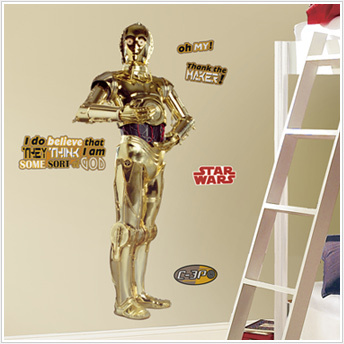 Bring the excitement of the timeless Star Wars universe into your room with this giant wall decal of everyone's favorite protocol droid, C-3PO. Standing almost five feet tall, this huge wall sticker is the perfect choice for fans and collectors of all ages. 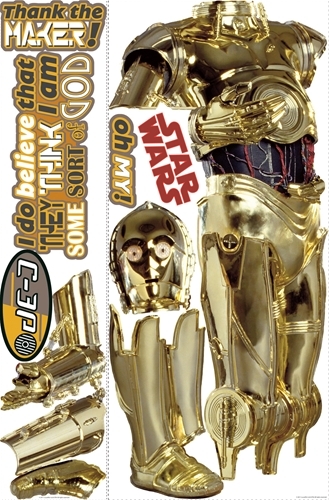 C-3PO even comes with several additional decals of funny phrases or logos, all of which can be used on the wall or as accents on furniture, mirrors, doors, ceilings, and more. 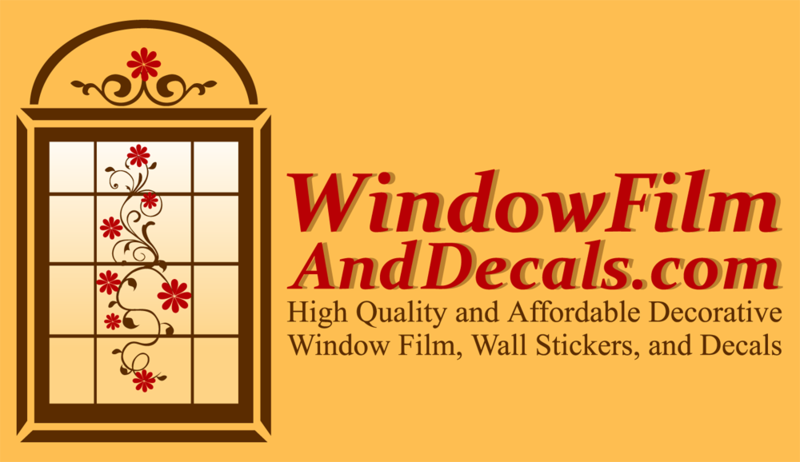 Decals come on two (2) decal sheets - sheets are 9" x 40" and 18" x 40"